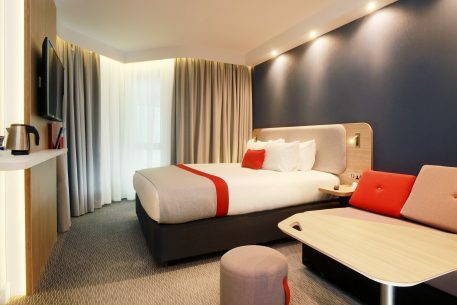 The Queen’s Quarter, Belfast-based property, which has been owned and operated by Andras Hotels since 1996, will benefit from new ‘4th generation’ Holiday Inn Express® bedroom standards offering comfort and style to the discerning traveller. The rooms have been extended over three floors with 60 on-site car parking spaces, provided over two underground decks and at surface level. 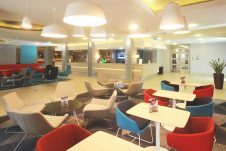 Additionally, the hotel lobby and restaurant have been remodelled alongside the hotel’s five meeting rooms, with new decor and audio-visual equipment. Each new bedroom has stylish fresh modern decor, air conditioning, USB charging points, and elegant bathrooms. The breakfast offering has been upgraded to offer the Holiday Inn Express® new standard full Irish breakfast – all of which are free for every guest. The work which began in April 2017 has been completed by MSM Contracts who are also building the Hampton by Hilton property in Belfast city centre for Andras Hotels, due for completion later this month. 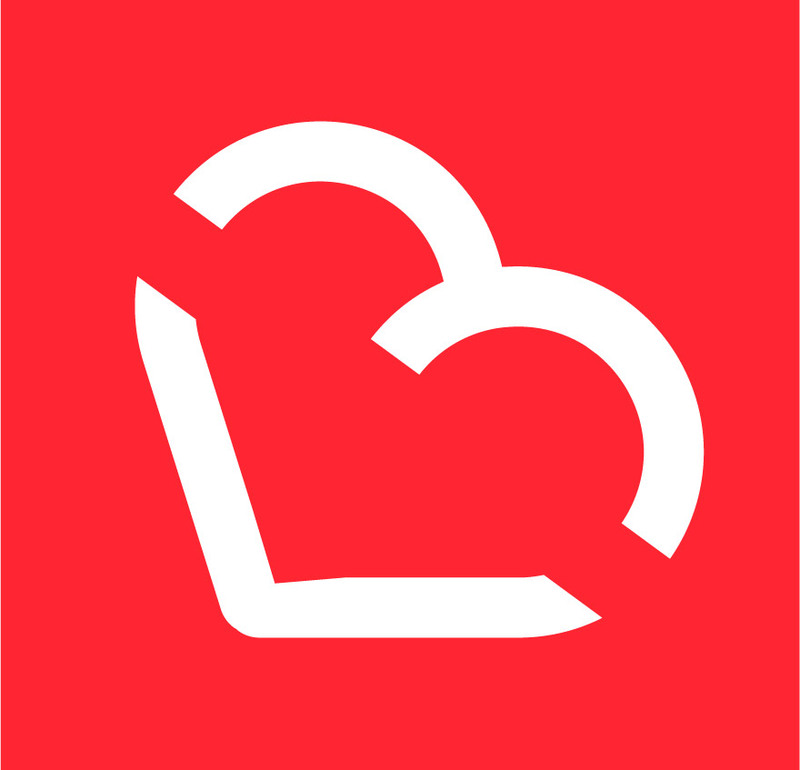 Both projects are being funded by Danske Bank. Holiday Inn Express, part of the InterContinental Hotels Group (IHG), is one of the worlds’ most recognisable hotel brands, with 2,507 properties featuring 249,142 rooms worldwide. “Our extension at Holiday Inn Express will help meet the growing demand for mid-range hotel accommodation in the city, serviced by a corporate and leisure market who want a simple, engaging place to rest, recharge and work. It is one of our longest running hotels and with its global brand recognition provides consistent travellers from across the globe. 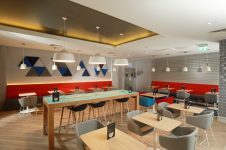 “Over the past 19 years, we have fostered an excellent partner relationship with IHG, and we now operate three IHG branded hotels in Belfast – Holiday Inn®, Belfast City Centre, Crowne Plaza Hotel at Shaw’s Bridge and here at Holiday Inn Express®. Rajesh Rana, continued: “We are in an extremely busy and exciting time for Andras Hotels. We are in the very final stages of the completion of our Hampton by Hilton hotel which will further meet the demand for mid-level hotel accommodation in our thriving City. “I would like to thank the contractors, the architects and the team at the hotel for completing the project within the agreed timescales with minimum disruption to our guests. Lewis McCallan, Head of Relationship Management – Corporate Banking, Danske Bank said: “At Danske we are absolutely delighted to support the continued growth and success of Andras Hotels, another milestone in its journey with a market leading International brand.